As Morrisons plans to introduce clothing in its stores, our poll suggests the majority of the public prefers supermarkets to sell a wide range of goods. Plans by Morrisons to begin stocking its own clothing range could be a winner for the brand, new figures show. It was reported on 6 February that the supermarket chain was in talks with fashion entrepreneur George Davis, who brought the George clothing brand to Asda. According to PRWeek/OnePoll's latest survey of 3,000 members of the public, 81 per cent had bought clothing from a supermarket and a further 12 per cent said they would do so. Just nine per cent of respondents said they thought supermarket clothes were 'cheap and nasty', with 40 per cent saying they were a good budget buy. When asked which supermarket they shopped in most frequently, 38 per cent chose market leader Tesco. Asda and Sainsbury's were both selected by 21 per cent, and 12 per cent plumped for Morrisons. Price was chosen as the most important factor when considering where to shop, followed by range of products and location. Asda was seen by 42 per cent as the supermarket offering the most reasonably priced goods, followed by Tesco with 28 per cent. When asked which supermarket offered the highest quality goods, however, Waitrose was the clear winner with 43 per cent of the vote. And when asked which supermarket operated in the most ethical manner, the Co-op led, picked by 38 per cent of respondents. But despite 81 per cent of respondents saying supermarkets took trade away from independent retailers, 73 per cent said they agreed supermarkets should be 'one-stop shops' selling clothes, homeware, electricals and insurance, as well as groceries and household products. As these statistics show, there is no longer a stigma associated with buying clothes from the supermarket. In similar fashion, this transition has played out in media as well, with supermarket clothing ranges regularly featuring in fashion features in glossy magazines such as Look. As the economic crisis hit consumers' wallets, supermarkets were able to position themselves as offering fashionforward clothes at budget prices, and this had a huge impact on boosting their appeal. Ethical concerns have also become less of a factor in general shopping than the cost - just look at how the sales of organic food have dipped - and this survey confirms that effect on clothing too. As long as supermarkets continue to create well-priced clothes in line with the latest fashion trends, they have a golden future ahead of them. High street clothing chains beware. IN WHICH OF THE FOLLOWING SUPERMARKETS DO YOU SHOP MOST FREQUENTLY? 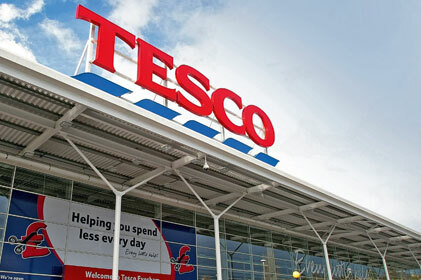 WHICH OF THE FOLLOWING SUPERMARKETS OFFERS THE MOST REASONABLY PRICED GOODS? WHICH OF THE FOLLOWING SUPERMARKETS OFFERS THE HIGHEST QUALITY OF GOODS? WHICH OF THE FOLLOWING SUPERMARKETS OPERATES IN THE MOST ETHICAL WAY?